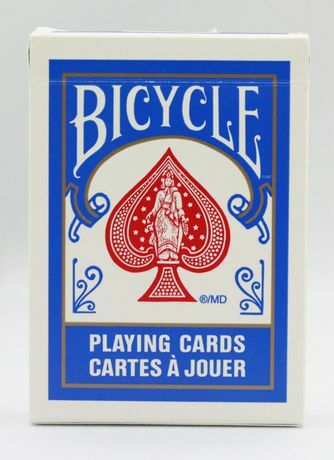 I'm looking for Bicycle Standards but made for Canada (bilingual card boxes), can anyone help me? I need some help to find a shop willing to send them in Italy, or someone that could help me or trade them with stuff from Italy! Or maybe someone from canada willing to send me some empty and flattened boxes! Try Browser's Den in Toronto or Perfect Magic in Montreal. Both have websites and both offer shipping. thank you i will drop them a line. Are there users from Canada willing to help me? Boxes can be also not new! I second perfectmagic.com seeing as my father owns it. i've contacted them, but they can't / won't send those boxes. I'm interested just in empty bi-lingual boxes, and could be already used. Are there any magician from Canada willing to help me? Sent an email just now! I don't know if empty boxes are available unless somebody has some lying around but I don't keep old card boxes. I can't get any help from stores! Wondering... Assuming that the cards are manufactured by USPCC - and they certainly must be - perhaps you might contact them directly about the possibility of purchasing boxes? Thanks to Wayne T, he sent me 8 boxes today! Hooray! I will be the most stylish magician around here!